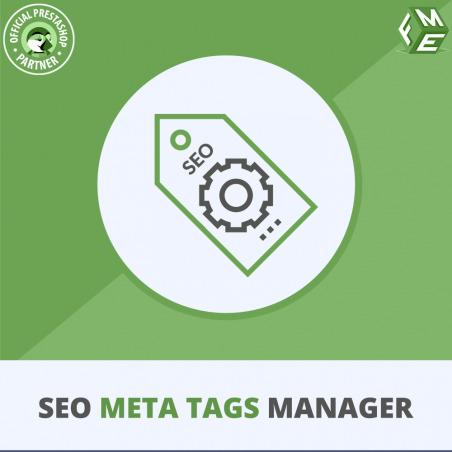 PrestaShop Meta Tags Manager helps you create SEO friendly meta tags to pursue higher rankings in search engines. Auto-generate meta titles and descriptions with easy variable selections. PrestaShop Meta Tags module helps you lay down a strong foundation of your SEO strategy with the creation of search engine friendly meta tags to products, categories, and CMS pages. Optimizing each product page or category front is a hectic job. You can do so with a few clicks. Pursue a higher click-through rate with brief and meaningful meta titles and description that makes up to the search engine result pages. Enrich schema markup of your product pages by adding more relevant product attributes and features in the descriptions. Save your time in creating meta tags for hundreds of your products. Configure variables for products, categories, and CMS pages once and let the module generate meta tags for all. Get rid of deploying staff on writing meta data every time new products are added. This also sets you free from human errors in producing meta tags.